URCA Assistants and Associates often present their research, publish articles, or participate in exhibitions. Each of these 'outcomes' is recorded to note each URCA Assistant's and Associate's accomplishment. Click here for a full list of URCA Assistant and Associate outcomes. Congratulations to Dr. Rocha’s URCA Assistants, Ethan Hill, Miranda Foley, Jennifer Gaytan, and Rachel Liefer, for presenting their work at the Spanish St. Louis Symposium at St. Louis University this April. You can read more about their work here and in the RiverBender here. Congratulations to URCA Assistants Haley Gouchenour, Hannah Carter, and Mikaylin Bent for presenting their posters at the IL State Academy of Science meeting! Check out URCA Assistant Haley Gouchenour’s feature in the RiverBender here, on SIUE’s News page here and in the Intelligencer here! Congratulations to URCA Assistant Michelle Jiles for presenting her poser titled “The effects of mentorship experiences on the academic self-concept of college students” at the Midwestern Psychological Association Conference. Awesome job! Congratulations to URCA Assistant Samantha Smith for presenting her poster titled “Empathy, hypomanic symptoms, and interpersonal functioning: A mediational analysis” at the Midwestern Psychological Association Conference. Way to go Samantha! Congratulations to URCA Assistant Sarah Gentry and former Assistants Isabella Divine and Mackenzie Harrison for presenting their posters at the Midwestern Psychological Association Conference. Great job! Congratulations to URCA Assistants Crystal Corso, Kayla Nichols, and Dustin Angot for presenting their poster titled “Exploring the Influence of Autism Spectrum Conditions on Contextual Effects in Preference” at the Midwestern Psychological Association Conference. Fantastic job! Congratulations to URCA Assistants Alizeja Gibson, Gabrielle Ellis, Amanda Denhof, and Lauren Ferris for presenting their poster titled “Caffeine: the college student’s friend or foe?” at the Midwestern Psychological Association Conference. Way to go! Congratulations to URCA Associate Sarah Burt on her acceptance to an SIUE Teaching Assistantship starting fall 2019. Great job Sarah! Congratulations to URCA Assistant Allison Norris for presenting her poster titled “los colores de la montaña (The Colors of the Mountain)" at the Conference of Undergraduate Research and Scholarship at Mommouth College. Awesome job! Congratulations to URCA Assistant Seth Kannarr for presenting his poster titled “Particle Size Analysis on Sediment Samples from the Tijuana River Estuary.” At the American Association of Geographers Annual Meeting in Washington D.C. Awesome job! Congratulation to URCA Assistant Allison Lutz and her mentor Dr. Katherine Mora who will be featured on Show Me St. Louis in March! This is such a fun accomplishment! Congratulations to Dr. Dixon’s lab team for presenting their work at the Probst Lecture-Bowman Research Symposium! Congratulations to URCA Associate Ben Harsin who was accepted into the SIU School of Medicine! Congratulations to all our spring 2019 Award winners! You can find more information about them here, in the RiverBender here, and in Advantage News here. Congratulations to URCA Assistant Tisha Brooks for chosen for a feature in This Month in CAS! You can read about here. Congratulations to former URCA Assistant Chase Tiffany who was accepted into a PhD program at the University of Indiana Bloomington! Awesome job Chase! Congratulations to URCA Associate Sarah Burt who has been awarded the Evelyn Bowles Public Service Scholarship! Awesome job! Congratulations to URCA Associate Sarah Burt on her acceptance to present her research at Illinois State University’s English Studies conference and at the Sigma Tau Delta’s Annual International Conference. Way to go Sarah! Congratulations to former URCA Assistant Margaret Scarsdale for publishing a solo-authored article! You can read more about Margaret here. 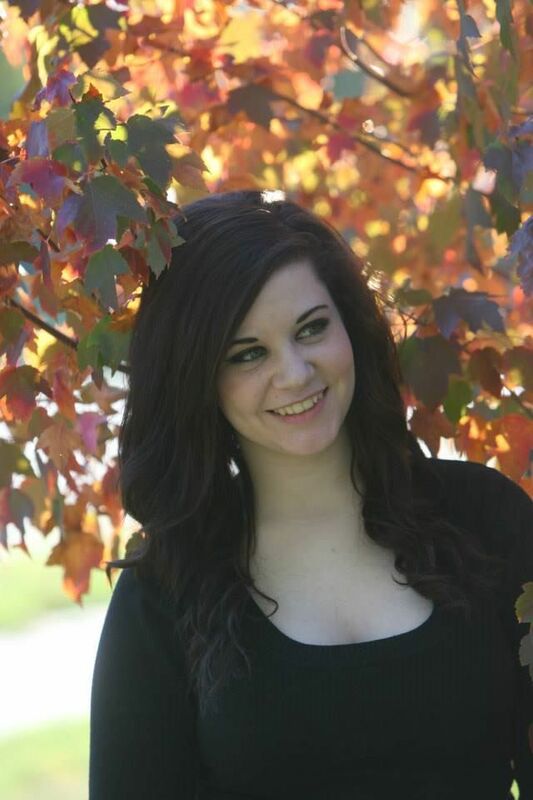 Congratulations to URCA Associate Sarah Burt on her acceptance to SIUE’s Master’s program for English Literature! Congratulations to URCA Assistant Rachel Davis who has been chosen for a feature in the National Sigma Xi FY18 Annual Report! 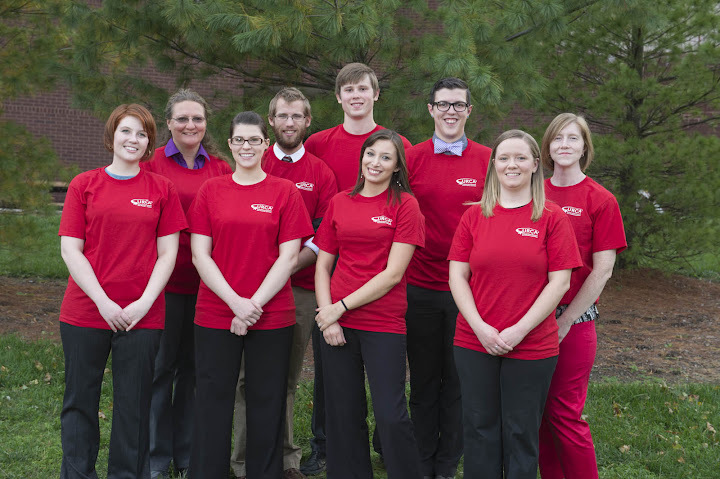 The SIUE URCA Program was excited to be featured in the Edwardsville Intelligencer – read the article here. Congratulations to URCA Assistant Rachel Liefer and former URCA Assistants Miranda Foley, Ethan Hill, and Jennifer Gaytan who submitted a panel that was approved for the 2019 Saint Louis University Undergraduate Symposium. They will be presenting the URCA papers next April! Fantastic job! Congratulations to URCA Associate Ben Harsin and former URCA Assistant Kelsey Lane for presenting data at the American Society for Cell Biology Meeting in San Diego California! Ben’s presentation is titled, “The chomatin remodeling enzyme, Kismet, affects synaptic cell adhesion molecule levels and synaptic endocytosis.” Kelsey’s presentation is titled, “Kismet Positively Regulates Endocytosis and Influences the Localization of Presynaptic Endocytic Proteins.” Great job! Congratulations to Dr. Siganga, URCA Assistant Thomas Siganga, Dr. Gopalan and URCA Associate Paige Niepoetter who were featured in an Alestle article about the URCA Program. Click here to read the article. Congratulations to former URCA Assistant Tiffany Williams who has been awarded a $1,000 scholarship from the Illinois Chapter of the Society for Public Health Education (ISOPHE). This award is only granted to three individuals across the state. Way to go Tiffany! You can read more about it on SIUE's News Page here and on the Riverbender here. Congratulations to URCA Assistant Alyssa Groene for her research presentation at the American Speech, Language and Hearing Association’s annual convention. You can read about it on SIUE’s news page here, in the Edwardsville Intelligencer here, and in the Alton Telegraph here. Congratulations to our Fall 2018 URCA Award winners! You can read more about them on SIUE's News Page here and in the Riverbender here. Congratulations to URCA Assistant Macey Brown for winning Best Undergraduate Research Poster Award from the American Art Therapy Association (AATA) during their national conference in Miami. Way to go Macey! You can read about the story here. Congratulations to URCA Assistant Gregory Takas, former Assistant Brentsen Wolf and their mentor, Dr. Ron Worthington for earning first place for scientific merit for their research entitled, “Association of Synonymous Mutation Codon Frequency Changes with Levels of Protein Expression in Breast Cancer Cells.” You can read about the story here. Congratulations to URCA Assistant Taylor Aarns and her URCA Mentor Dr. Kathy Mora for their poster presentation titled From Concept Toward Commercialization: A Student Learning Experience in Food Product Development. The poster was presented at the Lilly Conference in Asheville, NC. Awesome job! Congratulations to URCA Assistant Logan Sherrill and his URCA Mentor Dr. Mingshao Zhang for developing a 3-D printed prosthetic arm! You can read about this amazing story on SIUE’s News Page here as well as in The Alestle found here. Great work Logan! Congratulations to all of our Spring 2018 Award winners! They were featured on SIUE's News Page found here and the Riverbender found here. Congratulations to Dr. Susanne DiSalvo of the Biological Sciences Department and her URCA Assistant Sydni Rubio on receiving a scholarship from Microscopy Society of America. 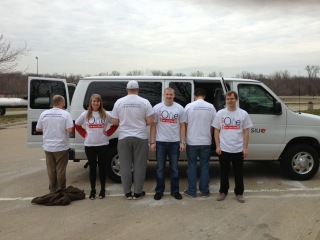 You can read about it on the Riverbender here and on SIUE's News Page found here. Way to go Sydni! Congratulations to URCA Assistant Sydni Rubio on winning first place in the Microbiology division for her poster presentation “Investigating Host Specificity of the Burkholderia-Dictyostelium Symbiosis System in Diverse Slime Mold Species.” She presented at the Illinois Academy of Science Conference at Millikin University. Way to go! Congratulations to URCA Associate Austin Leigh on his acceptance to SIUE’s Electrical Engineering Master’s Program! Good luck Austin! Congratulations to URCA Associate Jessica Schultz on her acceptance to the Counseling Psychology Doctoral program at the University of Southern Mississippi! We would also like to recognize her for receiving the Outstanding Field Study Student in Psychology Award! She also got second place at the Psi Chi paper presentation. Great work Jessica! Congratulations to URCA Associate Rachel Davis on her acceptance to SIUE’s Chemistry Master’s Program! Good luck Rachel! Congratulations to URCA Associate Haleigh Sperry on her acceptance to SIUE’s Chemistry Master’s Program! We would also like to recognize her for obtaining the Sigma Aldrich Student Grant! Great work Haleigh! Congratulations to URCA Associate Angel Nihells for her Outstanding Student in Anthropology Award! We would also like to recognize her for being accepted into the Phi Kappa Phi Honor Society! Congratulations to URCA Associate Josh Chappell for his presentation titled “The Testing Effect: Influences of Retrieval Interval and Cognitive Differences” at the Midwestern Psychological Association this month. 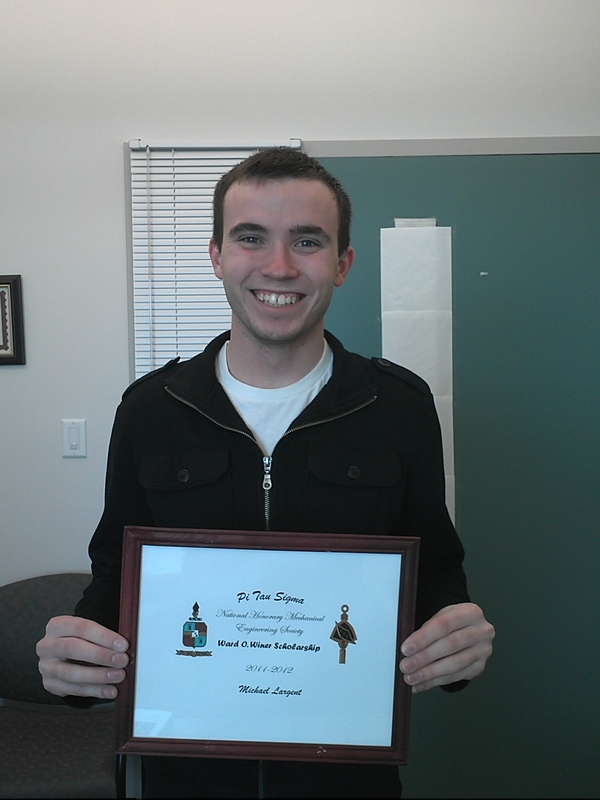 We would also like to recognize him for being accepted into the Phi Kappa Phi Honor Society! Congratulations to URCA Associate Nick Schimp for receiving a Sigma Aldrich Student Grant in the Department of Chemistry, as well as a Senior Research Award in Biological Sciences! Great work Nick! Congratulations to Dr. Brianne Guilford of the Applied Health Department and her URCA Assistants Ashley Gagen, Jordyn Nimmer, and Abigail Reller on their poster presentations at Experimental Biology Conference in San Diego, California! Great work everyone! Congratulations to Dr. Brianne Guilford of the Applied Health Department for receiving SIUE’s Vaughnie Lindsay New Investigator Award! Check out the story here. We’d also like to recognize her as one of our newest URCA Board members! Congratulations to Ms. Megan Robb and her URCA Assistant Macey Brown for being accepted to present her poster titled “Exploring What it Takes to be a Successful Art Therapy Group Leader” at the Annual Art Therapy Conference in November, 2018. Congratulations to Dr. Elizabeth Esselman of the Biological Sciences Department and her URCA Assistant Noah Pyles on his poster presentation at the Illinois Academy of Science. Great work Noah! Congratulations to Dr. ZQ Lin of the Environmental Sciences Department and his URCA Assistant Grant Zeidler on his poster presentation at Illinois State Academy of Science at Millikin University. His presentation was titled “Using Walnut Sawdust Wastes as Cultivation Substrate for Growing Edible Mushrooms.” Great work Grant! Congratulations to Dr. Eva Ferguson of the Psychology Department and her URCA Assistant Hailey Becker on her poster presentation titled “How Does Gender and Ethnicity Affect Students’ Cultural Values and Leadership Styles?” She presented at the 45th Annual Illinois-Iowa Undergraduate Psychology Empirical Research Conference. Good job Hailey! Congratulations to all of our hard-working SIUE undergraduate scholars as their work is highlighted at the SIUE Undergraduate Scholar Showcase! The Council on Undergraduate Research included SIUE on their list of Undergraduate Research celebrations across the country! Check it out here. Congratulations to S18 URCA Assistant Emily Deahr, whose work with Dr. Laura Fowler was recently featured here! Congratulations to URCA Associate Angel Nihells who just received the highly competitive Frederick N. Andrews Fellowship at Purdue which will fully cover all of her academic and living expenses for one year! Congratulations to Dr. Kevin Tucker of the Chemistry Department and his URCA Assistants Clayton Donald, Jillian Rhomberg, Bobbi Potter, Nicholas Grunloh, Dalia Hassan, and Jayda Hatten on their poster presentations. Great work everyone! Congratulations to Dr. Schreiber of the Social Work Department and her URCA Assistant, Taylor Dichsen, on her acceptance for two paper presentations at the Twelfth International Congress of Qualitative Inquiry in Champaign this May! One is titled “Gender differences in a Child Advocacy Center” and the other is titled “Foster parent religiosity.” Great work Taylor! Congratulations to Dr. Schreiber of the Social Work Department and her former URCA Assistant, Janet Wiley, on their publication in the journal Child & Family Social Work. 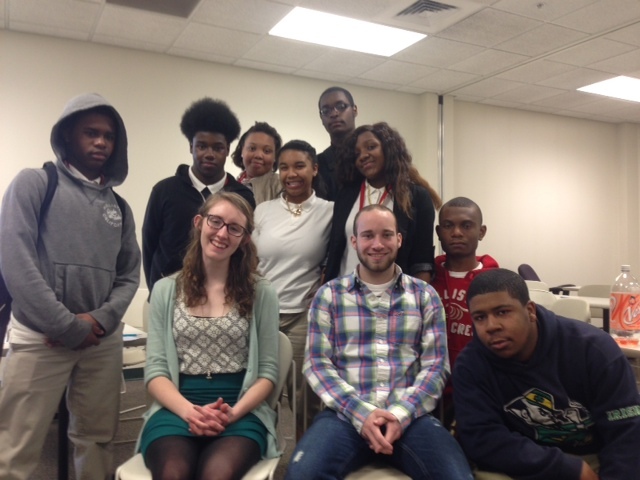 Their publication is titled “Finding a routine that works: A mixed methods study of foster parents.” Great job! Congratulations to Mr. Joseph Page of the Art and Design Department and his URCA Assistant Brittany Rhodes for assisting in two solo and one group exhibition. Great work! Congratulations to former URCA Assistant Alexa Knuth who was featured in the SIUE News for thriving in a competitive Scottish Physical Therapy PhD program. Check out the story here. Congratulations to Dr. Kevin Tucker of the Chemistry department and his former URCA Assistant Danielle Smith for being featured in the Riverbender (found here), Advantage News (found here), and SIUE’s News page (found here) for their research on antibiotics in groundwater. Congratulations to Dr. Marc Schapman of the Music Department and his URCA Assistant Maika Miller who assisted in the production of SIUE’s Opera Theatre’s The Rake’s Progress by Igor Stravinsky. Congratulations to URCA Associate Rachel Davis for receiving the first Dr. Vincent Masangu Shabangi Memorial Summer Undergrad Research Assistantship award from the Chemistry Department. Way to go Rachel! Congratulations to URCA Associate Rachel Davis on her poster presentation at the Pittcon Conference in Orlando, Florida! Great work Rachel! Congratulations to Dr. Klingensmith of the Electrical & Computer Engineering Department and his former URCA Assistant, Addison Elliott on their publication to the Journal of Biomedical Graphics and Computing! Their publication is titled, “Automated segmentation of cardiac adipose tissue in Dixon magnetic resonance images.” Great work! Congratulations to Dr. Chaya Gopalan of the Applied Health Department and her URCA Assistant, James Pletsch, on their acceptance to present their poster titled, “The Effect of Flutamide on Spatial Working Memory and Serum Estrogen Levels in Female Rats.” They will be presenting at the Experimental Biology conference in San Diego this April. Good luck! Congratulations to Dr. Nadler of the Psychology Department and his former URCA Assistant, Maya Gann-Bociek on their publication in Management Research Review. Their publication title is, “Interview support on perceptions of organizational attractiveness: The effects of applicant gender and socio-economic status. Amazing job! Congratulations to Dr. Lu of the Chemistry Department and his URCA Assistant, Dylan Gladson, on his acceptance at the 255th American Chemical Society National Meeting next month in New Orleans! Good luck Dylan! Congratulations to Emeritus Chancellor Dr. Vaughn Vandegrift for being selected to receive an Honorary Doctor of Humane Letters degree from SIUE at the May 2018 commencement ceremonies. 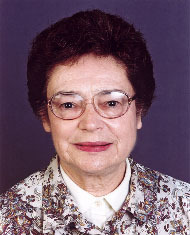 Dr. Vandegrift’s leadership and vision was responsible for bringing the URCA program to SIUE. Congratulations to Dr. Pawlow of the Psychology Department and her URCA Assistants, Kevin Cunningham, Shelbi Linton and Latavia Harley, on the acceptance to present their poster titled, “Demographic and personality factors related to intent to vaccinate.“ They will be presenting this at the annual meeting of the Midwestern Psychological Association in Chicago this April. Great work everyone! Congratulations to Dr. Sarah Conoyer of the Psychology Department and her URCA Assistants, Jennifer Robbins, Gabrielle Ellis, Nicole Ties, and DeAnna Scully, for having their research featured in the Riverbender. They are researching about ways to better assess students with learning disabilities. Click here to read all about it! Congratulations to URCA Mentor Dr. Jessica DeSpain for receiving the 2018 William and Margaret Going Endowed Professorship Award! Read all about Dr. DeSpain’s fascinating work here. Congratulations to URCA Associate, Angel Nihells, for being accepted into Purdue University's Anthropology Ph.D program! Good luck Angel, we know you will do great things! Congratulations to Dr. Nastasia of the International Studies Department and his URCA Assistant, Claire Schneider, on her abstract acceptance titled, “An International Studies Mapping Project at Southern Illinois University Edwardsville.” Claire will be presenting at the National Conference on Undergraduate Research (NCUR) in Oklahoma. Great work Claire! Congratulations to Dr. Klingensmith of the Electrical & Computer Engineering Department and his former URCA Assistant, Zach Zaszold, on their poster presentation titled, “Short-term effects of resistance training on total and regional abdominal fat: A preliminary approach and analysis.” They presented at the Institute of Clinical and Translational Sciences Symposium at Washington University in St Louis. Great work! Congratulations to Dr. Schapman of the Music Department and his URCA Assistant, Rachel Wagner, on their performance, The Mikado by Gilbert and Sullivan. The performance was produced by SIUE Opera Theatre. Great work everyone! Congratulations to URCA Associate, Haleigh Sperry, on her acceptance to the 255th ACS National meeting where she will be presenting her poster titled, “Ugi-Smiles Based Triazole Formation and Derivatization” this March in New Orleans. Way to go Haleigh! Shout out to Dr. Ross-Stewart of the Applied Health Department and her URCA Assistant, Emily Grahl, on being featured in the Telegraph for their upcoming research regarding imagery-assisted virtual reality and its influence on athletes. You can read the story here for more information. Congratulations to Dr. Gordon of the Construction Department and his URCA Assistant, Matt Lawton, on their recent poster presentation titled, “Real-time augmented transparency of construction site models” at the 2017 AGC MO Design & Construction Technology Conference Academic Showcase. Keep up the great work! Congratulations to URCA Associate, Nick Schimp, on his abstract acceptance titled, “Regulatory mechanism of nitric oxide synthase by cav-1 and calmodulin.” Nick will present it at the 255th ACS National Meeting this March in New Orleans! Good luck Nick! 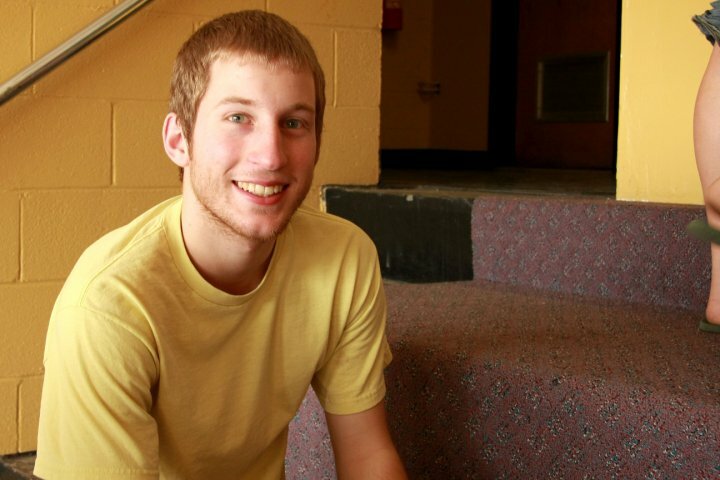 Congratulations to former URCA Associate, Daniel Miller, on his acceptance into SIU School of Dental Medicine. Good luck Daniel! Congratulations to Dr. Kevin Tucker of the Chemistry Department and his URCA Assistants, Clayton Donald, Jessica Rutledge, and Bobbi Potter on their poster presentations at the East Central Illinois American Chemical Society Undergraduate Research Conference. Great work! Congratulations to Dr. Kevin Tucker of the Chemistry Department and his URCA Assistants, Clayton Donald, Jessica Rutledge, Nicholas Grunloh, Krystal Harms, Danielle Goetter and Bobbi Potter on their poster presentations at the American Chemical Society St. Louis Section Undergraduate Research Symposium. Great work! Congratulations to Dr. Jewell of the Psychology Department and his URCA Assistant, Hannah Dahms, on their poster presentation at the 51st annual meeting of the Association for Behavioral and Cognitive Therapies in San Diego! Their poster was titled, “Investigating the effects of compassion meditation with detained youth.” Great work! Congratulations to our Fall 2017 URCA Awardees, who were featured in three articles! First, they were featured in the Riverbender, which can be found here. Additionally, they were featured in the Telegraph, which can be found here. Also, they were featured in Advantage News, which can be found here. Congratulations to Dr. Rocha of the Foreign Languages and Literature Department and her URCA Assistant, Jessica Mateo, on her acceptance to the Popular Culture Association conference in Indianapolis this March. Her abstract is titled, “Not for Illegal Immigrants: The American Dream in A Better Life.” Good luck Jessica! Congratulations to Dr. Zuercher of the Applied Health Department and her URCA Assistants, Bailey Allen and Riley Dodson on their poster presentation at the Food and Nutrition Conference and Expo (FNCE) in Chicago. Their poster was titled, “Eat. Support. Live. Examining the Weight and Health-Related Concerns of Postpartum Moms in East St. Louis” Great work everyone! Congratulations to URCA Associate Angel Nihells for receiving the National Preservation Institute scholarship! Great job, Angel! Congratulations to former URCA Associate, Daniel John Carroll, for passing the Illinois Bar Exam! What a great accomplishment! 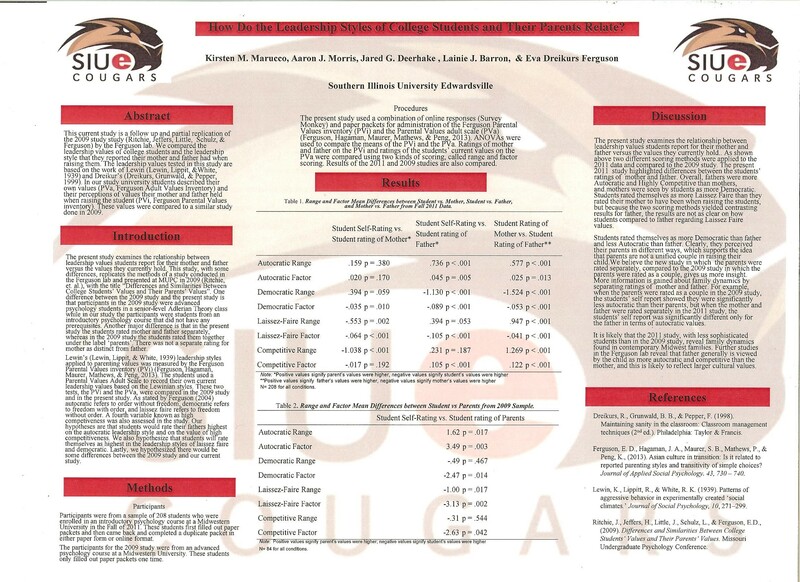 URCA will be represented at the CAS/SEHHB’s Explore SIUE Day on 9/30. You can find out more information about it here. Congratulations to Dr. Ayse Evrensel of the Economics and Finance Department and her former URCA Assistant, Tiffany Minx, on their publication titled, “An Institutional Approach to the Decline of the Ottoman Empire.” Great work! Congratulations to Dr. Ron Worthington of the Pharmacy Department and his URCA Assistants, Brentsen Wolfe and Elijah Ball, on their publication titled, “Method to identify silent codon mutations that may alter peptide elongation kinetics and co-translational protein folding.” Great work, everyone! Congratulations to URCA Associate, Gabrielle Borders, on her acceptance to the South Atlantic Modern Language Association Conference (SAMLA), where she will present her paper, titled, “Making Queer Space in Nineteenth Century Book History and the Digital Humanities” in Atlanta, Georgia this November! Good luck Gabrielle! 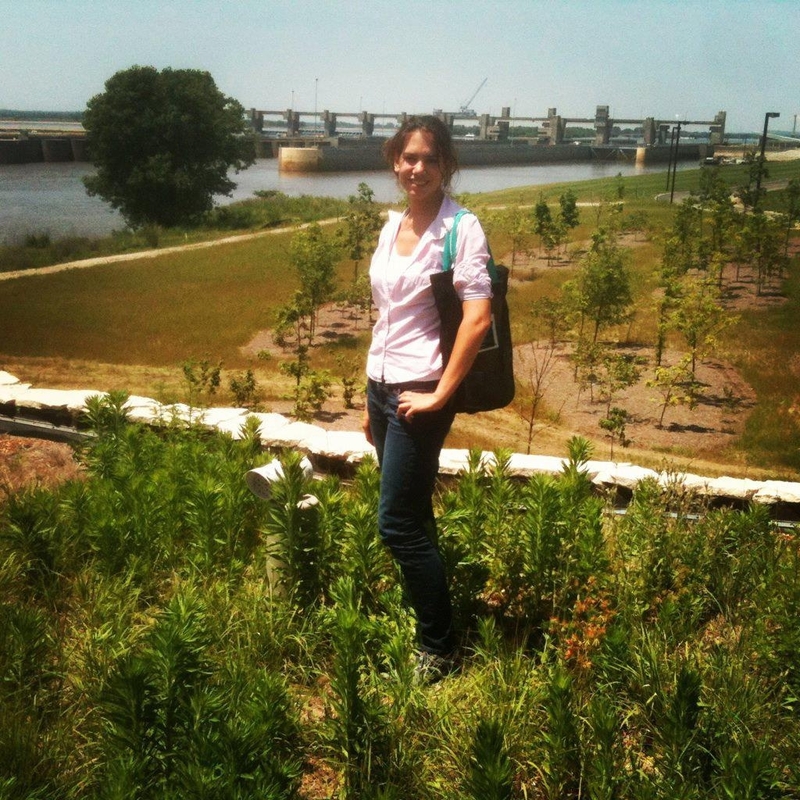 Congratulations to URCA Assistant Danielle Smith for receiving a $500 research grant from the Illinois Groundwater Association. Great job, Danielle! Congratulations to Dr. Klingensmith of the Engineering Department and his three URCA Assistants, Miranda Fulton, Zechariah Faszold and Taylor David for getting a grant from the American Heart Association. They are researching to find a cost-effective tool for measuring risk of heart disease. They were featured in SIUE news, found here, as well as the Riverbender, found here. Good luck, everyone! Congratulations to former URCA Associate, Abbie Fox, for being accepted into SIU School of Medicine Program! Good luck, Abbie! Congratulations to Dr. Nahid Shabestary and her URCA team on an incredibly prolific year! Members of the Shabestary team gave 6 research presentations at various venues during the 16-17 AY. Her URCA students who presented included Xavier Morrison-Wallace, Isaiah Blackburn and Laila Ait Haj Kaddour. Great work everyone! Congratulations to Dr. Ariel Belasen of the Economics and Finance Department and her URCA Assistant, Gabe DeWerff, on their recent publication acceptance in the Undergraduate Economic Review. The article is titled "Preferences Among MLB Fans: What Factors Affect Jersey Sales?" Great work! Congratulations to URCA Associate Rachel Davis for receiving a $1,000 award from Sigma Xi's Grants-in-Aid of Research Program. Her story is featured on SIUE's newspage (found here), the RiverBender (found here), the Telegraph (found here) and Belleville News Democrat (found here). You definitely deserve it, Rachel! Congratulations to URCA Associate, Emily Wade, for being accepted into SIU School of Medicine Program! Good luck Emily, we know you will do great things! Congratulations to all of our URCA participants (and thank you to their outstanding mentors) who presented their amazing work at the annual SIUE Undergraduate Scholars Showcase on April 27. This event was featured in the Riverbender, which can be found here. Congratulations to Dr. Eva Ferguson of the Psychology Department and her URCA Assistant, Ryan Robbins, on his recent paper presentation titled, “Do Parenting Styles Differ According to Ordinal Position and Gender of Children?” at the ILLOWA conference at Monmouth College. Keep up the great work Ryan! Congratulations to Dr. Kevin Tucker of the Chemistry Department and his URCA Assistants, Paisley Harper, Michael Lohman and Clayton Donald, on all three of their poster presentations. The first is titled, “Effects of Wastewater Effluent on the Levels of Antibiotics in Freshwater Streams,” presented at the Emerging Contaminants conference in Champaign, IL. The next two were at the Illinois State Academy of Science in Chicago, where they were awarded 1st place on their poster titled, “Relationship between Antibiotics Found in Wastewater and Receiving Streams” and 3rd place on their poster titled, “Mapping Antibiotics in Southwest Illinois from Wastewater Treatment Plants.” Amazing work everyone! Congratulations to Dr. Kevin Tucker of the Chemistry Department and his URCA Assistants, Rachel Davis, Jessica Rutledge and Nicholas Grunloh, on their recent poster presentation titled, “Modeling Endocrine Disruptor Uptake in Aquatic Invertebrates” at the Emerging Contaminants conference in Champaign, IL. Fantastic job everyone! Congratulations to Dr. Kevin Tucker of the Chemistry Department and his URCA Assistants, Sarah Bilskey and Nicholas Grunloh, on their recent poster presentation titled, “Method Development for Antibiotic Extraction from Soil” at the Louis Stokes Midwest Center of Excellence Annual Conference in Chicago. Great work! Congratulations to former URCA Associate, Jacquelin Koehne, on her recent poster presentation titled, “Compensatory Mechanisms to Exercise Induced Energy Deficit” at the American College of Sports Medicine in Denver, Colorado. Great work, Jacquelin! Congratulations to Dr. Hamad of the Physics Department and his URCA Assistant, Dakota Waldrip, for presenting his research titled, “Gain Studies of Europium Doped Phosphate Glass” at the Illinois Section of the American Association of Physics Teachers conference. Great work, Dakota! Congratulations to Dr. Debbie Mann of the Foreign Languages Department and her former URCA Assistants, Chance Goodwin and Alexia Keller for presenting their paper titled, “The World(s) of Three Pines: Creating Community in the Novels of Louise Penny” at the Quebec Past & Present conference in Canada! 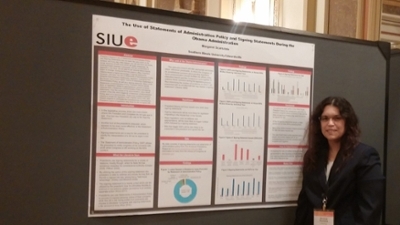 Congratulations to Dr. Laurie Rice of the Political Science Department and her URCA Assistant, Margaret Scarsdale, for her recent poster presentation titled, "The Use of Statements of Administration Policy and Signing Statements During the Obama Administration" at the Midwest Political Science Association. Way to go Margaret! Congratulations to Dr. Connie Barber of the Computer Management and Information Systems Department and her URCA Assistant, Kylie Smutzer, for their recent paper acceptance at America's Conference on Information Systems in Boston. Kylie co-authored on the paper that will be presented in August. Keep up the great work! Congratulations to URCA Associate Emily Wade for being awarded Honorable Mention for Undergraduate Poster Presentations in the Cellular, Molecular, and Developmental Biology Division at the Illinois State Academy of Science Annual Meeting last month. Great work Emily! The URCA program was so thrilled to see former URCA student Tiffany Eickhoff featured in the Alton Telegraph. Please click here to read about her amazing journey! Congratulations to our Spring 2017 URCA Awardees, who were featured in two articles! First, they were featured in the Riverbender, which can be found here. They were also featured in Advantage News, which can be found here. Congratulations to Dr. Jeff Manuel of the History Department and his URCA Assistant, Angela Little their work on the Madison Historical: The Online Encyclopedia and Digital Archive for Madison County, IL. She is using current technology to publically feature historical items. This was featured in the Edwardsville Intelligencer, which can be found here. Angela also discovered some interesting information about her own family’s history, including her “mystery grandfather.” This was featured in the Belleville News Democrat, which can be found here. Amazing work, Angela! Congratulations to Dr. Eva Ferguson of the Psychology Department and her URCA Assistant Ryan Robbins for getting accepted to present a poster titled, “Do Parenting Styles differ according to Family Size and Gender of Children?” at the Undergraduate Scholars Showcase. He will also be presenting the poster at the ILLOWA conference this month at Monmouth College! Good luck Ryan! Congratulations to Debbie Mann of the Foreign Languages Department and her former URCA Assistants, Chance Goodwin and Alexis Keller for co-authoring on two different papers titled, "Creating Community in the Novels of Louise Penny" and “The World(s) of Three Pines: Creating Community in the Novels of Louise Penny.” Alexis also helped work on a paper being presented in July titled, "Linguistic and Cultural Confluences Through the Lens of the French (-speaking) Detective Novel." Great work everyone! Congratulations to Dr. Zhiqing Lin of the Biology Department and his URCA Assistant, Stefan Jones for his resent presentation at the 2017 Annual Meeting of Illinois State Academy of Science. Keep up the great work! Congratulations to URCA Associate Amanda Markovich for her recent poster presentation at the Illinois State Academy of Science. Her poster was titled, “Pre-Zygotic Reproductive Isolation among Topminnows in an Artificial Stream System.” Great work, Amanda! Congratulations to Dr. Rocha of the Foreign Language and Literature Department and her current URCA Assistant, Ellie Vondohlen on both of her abstract acceptances! The first was accepted at the 22 Annual Symposium at Illinois State University, where she won the Rhonda Nicol Memorial Book Award for her outstanding paper! The second was accepted at the Annual Spanish and French Symposium at St. Louis University. Ellie was featured in the SIUE News Page, which can be found here. She was also featured in the Alton Telegraph! Amazing job, Ellie! Congratulations to Dr. Guilford of the Applied Health Department and her current URCA Assistant, Claire Maciejewski for her recent poster presentation, “Omega-3 fatty acids therapeutic potential in the development of neuropathy” at the Texas chapter meeting for the American College of Sports Medicine! 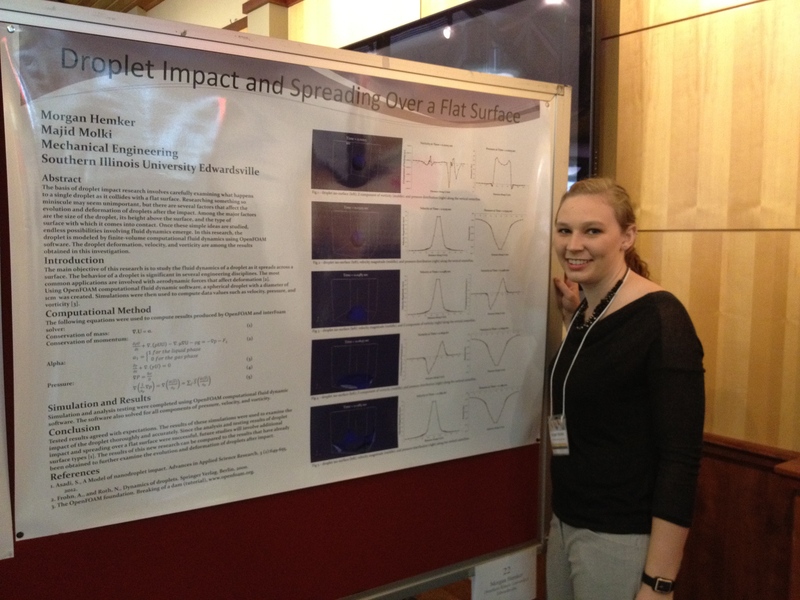 Claire was also pre-selected to be judged by a panel of three judges in the undergraduate research poster category. She was also featured in an article written by the Riverbend, which can be found here. What a great accomplishment Claire! Congratulations to Dr. Wooten of the Applied Health Department and his current URCA Assistants, Dakota Kamm and Marcus Breden for their recent poster presentations at the Texas chapter meeting for the American College of Sports Medicine! Dakota presented his poster titled, “Dietary enrichment of fish-oils attenuates diet-induced obesity and hepatic steatosis.” Dakota was also pre-selected to be judged by a panel of three judges in the undergraduate research poster category and was awarded 2nd place! Marcus presented his poster titled, "The relationship of visceral adipose tissue with markers of energy homeostasis following weight-loss." They were even featured in an article written by the Riverbend, which can be found here. Great work guys! 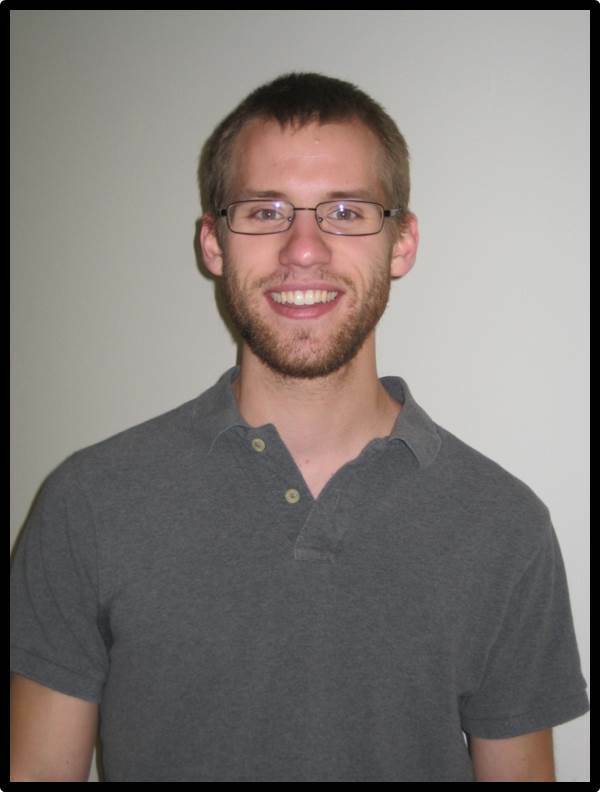 Congratulations to URCA Associate Daniel Miller for being accepted to present his URCA project at the Illinois State Academy of Science Conference. Good luck! Congratulations to URCA Associate Abbie Fox for being accepted to present her poster at the 253rd American Chemical Society National Meeting and Exposition this April in California! Good luck! Congratulations to URCA Associate Luke Brown for presenting his poster at the American Society for Plant Biologists at Purdue University! Great job! Congratulations to URCA Associate Emily Wade for being accepted to present her URCA poster titled, "Evaluation of the role of light in fruiting body formation in the fungus Schizophyllum umbrinum as compared to its sister species, Schizophyllum commune" at the Illinois State Academy of Science Conference in March. Good luck! Congratulations to URCA Assistant Chase Tiffany for getting his abstract accepted to the inaugural Migrations of Cultures conference at the University of Pittsburgh in March! Chase was also accepted into a the French Linguistics PH.D program at Indiana University. Good luck Chase! 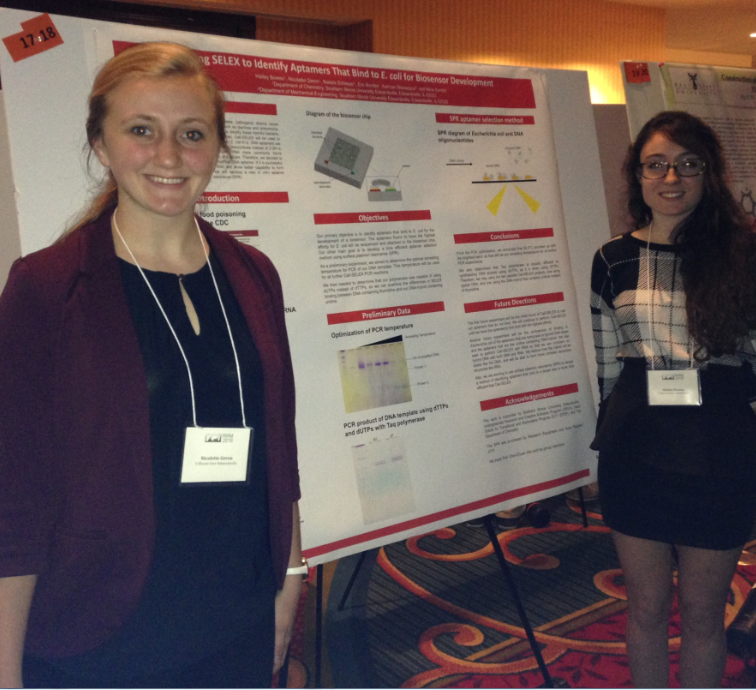 Congratulations to URCA Associates, Emily Fabry and Rebecca Ngo for being accepted to present their URCA projects in the 2017 American Chemical Society National Meeting & Exposition in San Francisco, California in April! Good luck! Congratulations to Dr. Retzlaff of the Biology Department and his current URCA Assistants, Kayla Tatum and Caleb Mau for presenting their poster, "The case for green roof maintenance: Long-term Sedum performance, weeding maintenance, and thermal benefit" at the Cities Alive 14th Annual Green Roof and Wall Conference in DC! They had another poster presentation for their project, "Weeding maintenance of green roof systems" at the Illinois State Academy of Science. Caleb also presented a poster, "Thermal benefits of different weeding methods of green roof systems" at the Illinois State Academy of Science. Kayla won the Best Undergraduate Student Oral Presentation and Caleb won second prize for the Undergraduate Student Poster Presentation award. Amazing work, keep up the great work! Congratulations to Dr. Rocha of the Foreign Language and Literature Department and her current URCA Assistant, Chase Tiffany on his abstract acceptance for the April 2017 Conference of Undergraduate Research and Scholarship. Keep up the great work Chase! Congratulations Dr. Gordon of the Construction Department and his current URCA Assistant, Cody Kruse on their recent poster presentation at the Design and Construction Technology Conference in Missouri. Great work! Congratulations to Shaelyn Grant, one of our URCA Associates, for getting accepted into the Goldfarb School of Nursing at Barnes-Jewish College. Shaelyn was admitted into the Upper Division option and will start May 2017! Good luck Shaelyn! Congratulations to Dr. Sumita of the Chemistry Department and her current URCA Assistants, Nikki Geron and Hailey Bowen on their recent poster presentation at Rustbelt RNA in Ohio. Great job! Congratulations to Dr. Sarah Luesse of the Chemistry Department and her current Associate/former Assistant, Abbie Fox, and her former Assistant, Michael Meyers for co-authoring on a recent publication of the paper: Application of heterocyclic aldehydes as components in Ugi-Smiles couplings. Keep up the great work! Congratulations to Dr. Ross-Stewart of the Kinesiology Program and her two former URCA Assistants, Corrine Brent and Alexa Knuth on their four recent presentations! Three of the presentations took place at The Association for Applied Sport Psychology Conference in Phoenix, Arizona. The other presentation was for the North American Society for the Psychology of Sport and Physical Activity in Canada! Great job everyone! Success story: Previous URCA Assistant and Associate, Tara Stapay (now Tara Enders), was awarded a dissertation improvement grant while working on her PhD at Washington University in St. Louis. Tara and her previous mentor, Dr. Esselman, wrote a paper from the work they did together when she was an URCA student at SIUE, which helped her get the grant. She is now a successful plant scientist, who has two papers published. Great work, Tara! Congratulations to Dr. Moffett of the Political Science Department and his previous URCA Assistant, Triniece Cummins, who helped with the book Web 2.0 and the Political Mobilization of College Students that just got published in The Hill! The book was also featured in The Huffington post. A link can be found here. Congratulations to Dr. Carter and her URCA Assistants, Victoria Greer and Savannah Bounds for getting accepted to present their poster at The Council for Social Work Education, Annual Program Meeting Conference in November. They will be presenting an interactive poster titled Assessing and Improving Nonprofit Organizational Capacity: A Service-Learning Instructional Model. How exciting! Congratulations to Dr. Schapman of the Music Department and his URCA Assistant, Zora Vredeveld for getting an article featured in the Edwardsville Intelligencer about their Halloween-themed opera show. The article can be found here. Great job and good luck on the show! Congratulations to Dr. Duvernell of the Biology Department and his URCA students, Amanda Markovich (Associate) and Tessa England (Assistant) for presenting their research at the St. Louis Ecology, Evolution and Conservation event. Great job everyone! Congratuations to Dr. Ercal of the Engineering Department and her URCA Assistant, Jeffrey Borwey being a co-author for another paper publlication! The paper being published is: Robust Graph-theoretic Clustering Approaches Using Node-Based Resilience Measures. Incredible work! Keep it up! Congratulations to Dr. Ercal of the Engineering Department and her URCA Assistant, Jeffrey Borwey for their publication of the paper: The Vertex Attack Tolerance of Complex Networks. We also want to congratulate her and one of her first URCA assistants, William Stimson, for getting another paper published this year: The Quality of Sampling from Geographic Networks. This is outstanding news! Great work! The URCA program would like to recognize Dr. Meeks of the Psychology Department and his former URCA Assistants, Nikki Hurley and Krista Sheets for being co-authors on a poster that will be presented at the Society for Teaching of Psychology’s 15th Annual Conference on the Teaching of Psychology in October. How exciting! Congratulations to Dr. Foster of the Physics Department and his URCA Assistant John Peters for presenting their work at The American Association of Physics Teachers Summer Meeting. The title of their presentation is Examining Engineering Course Work by Looking for Breadcrumbs. Great job guys! Congratulations to Dr. Pawlow of the Psychology Department and her URCA Assistants Ronnie Henson and Toni Muzzarelli on their poster presentation at the Midwestern Psychological Association in Chicago! The title of their poster is Acceptance of Cosmetic Surgery, Self-Esteem, and Need for External Validation. Great work! Congratulations to Dr. Darron Luesse of the Biology Department and his URCA Assistants, William Schryver, Luke Revelt, Veronica Heintz, Jessica Westerhold, Michael Vierling, Jaren Ross, and Allison Newton on their very busy, very productive year. So far, Dr. Luesse and his students have completed 4 studies, all of which were presented at ATGC Accessing Translational Genomics/Gernetics Conference at Harris Stowe University in St. Louis, Missouri. Keep up the great work! The URCA program would like to recognize Dr. Joshua Wooten and his URCA Assistants, Rachael Hartke and Marcus Breden on their recent presentations at the regional Texas chapter meeting of the American College of Sports Medicine. At the meeting, both Rachael and Marcus were ranked as finalists (top 8 out 45 posters) in the undergraduate research poster category. Following the presentation of their research to a panel of judges, Rachael was awarded 2nd place overall! Great job Rachael and Marcus, what an outstanding achievment! Congratulations to Dr. Ayse Evrensel of the Economics and Finance Department and her URCA Assistant Tiffany Minx on their recent presentation. Dr. Evrensel and Ms. Minx presented their paper, An Institutional Approach to the Decilne of the Ottoman Empire in Washington, D.C. at the meeting of the Eastern Economic Association in February. They are hoping to submit the manuscript for publication. URCA Assistant James Moss has received some well-deserved praise for the work he is completing with his URCA Mentor, Dr. Mark Poepsel of Mass Communications. James has been using globally available resources to produce a Nigerian screenwriter's short-film entitled, "Get Up, Get Up." The URCA program would like to recognize URCAAssociate, Dillon Santoni and his mentor, Dr. Denise DeGarmo in their remarkable acheivment, the co-authorship and publication of the book: The U.S.-Israeli Strategic Alliance and the Disappearing Palestine. The book examines the implications of the U.S.-Israeli strategic alliance on the proposed "two state solution." Click here for more information or to purchase a copy. Congratulations to Dr. Justin Sutters of the Art & Design Department and his former URCA Assistant Keirsten Savering on their recent publication in Arts and Activities magazine. The article, 'Differing Realities: The Contemporary Graphic Art of Daniel Guzman,' can be found here. The Interdisciplinary Research and Informatics Scholarship (IRIS) Center is an interdisciplinary facility designed to support individual and collaborative scholarship (at faculty and student levels) that applies digital content as a primary methodology. The Faculty Coordinators of IRIS, Dr. Jessica DeSpain and Kristine Hildebrandt, are both recurrent URCA Mentors who encourage their URCA Assistants to post blog entries about their experiences and research endeavors. Two URCA Assistants, David Umbaugh and Jane Maciejewski (Jane Spiller) recently presented their work at the Central States Chapter of the American College of Sports Medicine Annual Meeting. The two Assistants have worked closely for several semesters with Dr. Brianne Guilford in the Department of Kinesiology and Heath Education. 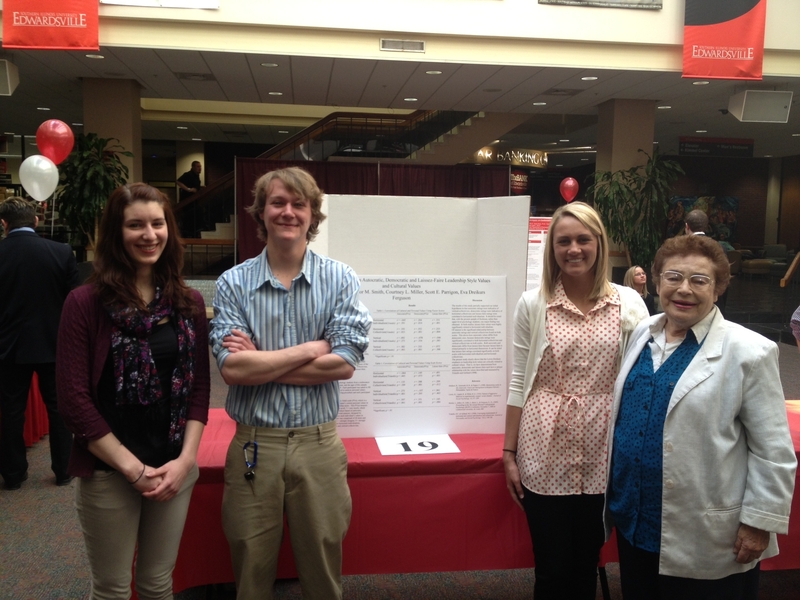 The poster entitled "The Effects of a High-Fat Diet on Neuronal Inflammation" was presented in Warrensburg, Missouri. Congratulations to David, Jane, Dr. Guilford, and the Department of Kinesiology! With recent tragic incidents like the 2007 Virginia Tech campus shooting and the 2014 Seattle Pacific University shooting, it is clear that crisis is always a possibility for colleges and universities. Many large organizations have crisis contingency plans, which are ineffective unless they are communicated to the desired target audience. The current study presents findings from a survey of university employees, measuring perception variables regarding risk and crisis preparedness. Women were more knowledgeable than men on crisis response. Staff members reported higher levels of knowledge and self-efficacy than faculty. In addition, perceived knowledge may be a better predictor of self-efficacy and perceived preparedness than actual knowledge. Implications for risk and crisis management are discussed. The manuscript entitled "From Virginia Tech to Seattle Pacific U: An Exploratory Study of Perceptions Regarding Risk and Crisis Preparedness Among University Employees" can be found here. Seitzinger, R., Fries, R. Qi, Y., Zhou, H. (2016). "A Driving Simulator Study Evaluating Traffic Sign Mounting Height for Preventing Wrong-Way Driving." Transportation Research Board Annual Meeting. Washington, D.C. january 10-14. Dr. Fries credits his former URCA Assistant saying that "although the URCA student declined my invitation to be a coauthor, his work played a large role in our overall study." SIU School of Medicine! Way to go Associates!! Sturgeon, M., Davis, D., Albers, A., Beatty, D., Austin, R., Ferguson, M., Tounsel, B., and Liebl, F.L.W. (2016). A reverse genestic screen identifies Mind Bomb 1 in a glutamate receptor localization at the Drosophila neuromuscular junction. Molecular and Cellular Neuroscience, 70(1), 11-21. Dr. Faith Liebl is an Associate Professor of Biological Science in the College of Arts and Sciences. Morgan Sturgeon is a former URCA Associate from the 2013-2014 cohort, and Matt Ferguson is Dr. Liebl's former URCA Assistant. The Fall 2015 Newsletter is now available!! This Semester URCA Associate Kyle DeProw, Dr. Ryan Krauss, and URCA Assistants Kenneth Coleman, Sarah Paitz, Chad Kolmer, and URCA Mentors Ms. Kathryn Bentley, Dr. Marc Schapman, and Dr. Xing Su are featured. Congratulations to this semester URCA Award winners: Dr. Mike Crider, Dr. Marc Schapman, Sarah Paitz, and James Moss! On october 1st, the College of Arts and Sciences held a Colloquium on campus entitled "Thinking about the Community." Dr. Debbie Mann and her URCA Assistant Chance Goodwin co-presented a session entitled "Uniquely Quebec: Linguistic and Cultural Coexistence in the Novels of Louise Penny," which is based on their current URCA project. Dr. Mann reported that "Chance did a great job with his portion of the presentation!" Congratulations to both Dr. Mann and Chance on a great presentation! URCA would like to extend a very special congratulations to Drake Jensen on his recent accomplishment as SIUE's 2015 Outstanding Thesis Award recipient. Drake was part of the 2012-2013 URCA Associate cohort where he was mentored by Dr. Chin-Chuan Wei on his URCA project entitled: "Insight on Dual Oxidase Regulation Medicated by Calmodulin." 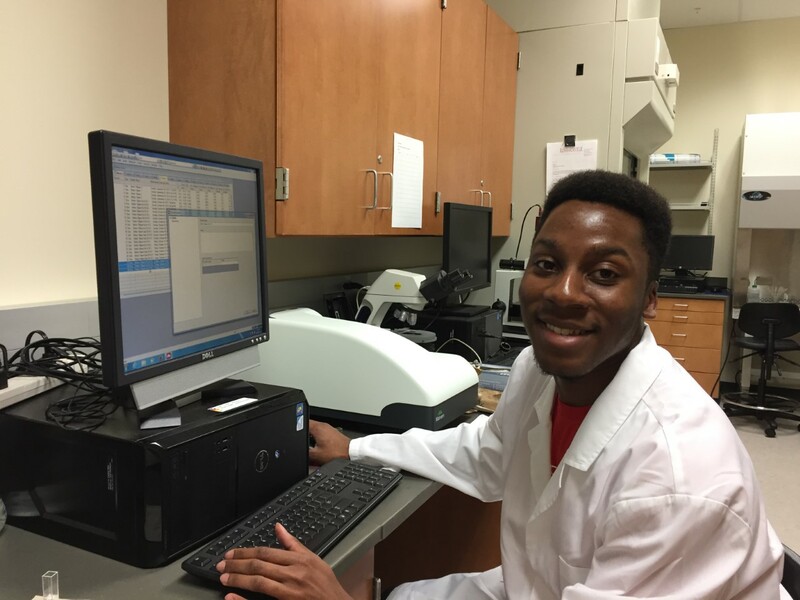 After completing his project as an URCA Associate and graudating, Drake went on to complete a Masters of Science degree in Chemistry at SIUE and is currently a Ph.D. student at Washingtong University in St. Louis' School of Medicine in the Department of Biochemistry and Molecular Biophysics. Congratulations to Dr. Eva Ferguson and her lab assistants, Kirsten Marucco (URCA Assistant), Aaron Morris, Jared Deerhake, and Lainie Barron on their recent acceptance to present at the annual Missouri Undergraduate Psychology Conference (MUPC) at Lindenwood University. Dr. Ferguson and her assistants will be presenting a manuscript entitled "How do the Leadership Styles of College Students and their Parents Relate?" UPDATE: Not only did they present, they were awareded first place!! Speaking to her Assistants about the great win, Dr. Ferguson stated that "considering that posters were there from Washington University and Iowa State University, you showed that our SIUE undergrad researchers are equal to the best university research groups. We know that to be true, but now we have judges' comments to verify it!" Yenumula, K., Kolmer, C., Pan, J., & Su, X. (2015). BIM-Controlled Signage System for Building Evacuation. Procedia Engineering, 118, 284-289. Dr. Su is an Assistant Professor of Construction Management in the School of Engineering. Chad Kolmer served as Dr. Su's URCA Assistant in the Spring and Fall of 2014. In addition to the publication, this particular study was presented earlier this year at the International Conference on Sustainable Design, Engineering, and Construction in Chicago, IL. The URCA program is pleased to announce the 2015-2016 URCA Associate Cohort! Cutting-edge research is happening throughout SIUE all the time, usually with the help of undergraduates participating in URCA. This month, Dr. Elizabeth McKenny, a professor in the psychology department, along with URCA Assistants Alyssa Golike and Jennifer Garland, are eager to make their mark with new innovative techniques aimed at reducing anxiety in children with Autism Spectrum Disorder. Congratulations to URCA Assistant Jenna Smith, whose work will be showcased at the Edwardsville Art Center in an exhibit starting on May 15th. Jenna has worked in the Art & Design department with Dr. Brigham Dimick for the past semester. More information about the upcoming exhibit can be found here. The Spring 2015 URCA Newsletter is available!! This semester URCA Associate Jeffrey Borwey, Dr. Gunes Ercal, URCA Assistants Kaylee Poole, Andrew Seija, Maryam Molki, and Dr.'s Joshua Wooten and Michael Crider were featured! Also, be sure to check out what URCA Assistant Nicholas Kirkpatrick has to say about the new Enhanced Communications Training being offered to URCA students in the School of Engineering! Congratulations to Dr. Joshua Wooten, Dr. Laura Hanson, and URCA Assistants Chase Tiffany and Callie Mincy!! They are this semesters URCA Award Winners!! A big CONGRATULATIONS to Dr. Joshua Wooten and his URCA Assistants, Kaylee Poole and Andrew Seija. Kaylee and Andrew are both recipients of the FASEB MARC Travel Award which provides them with the opportunity to attend and present their research posters at the annual American College of Sports Medicne (Texas Chapter) Meeting in Austin, Texas. Dr. Wooten stated that "both Kaylee and Andrew have worked extremely hard in the lab this year under the URCA program and they are excited to share their research with the scientific community". Kaylee will be presented her poster entitled: The Effects of Physical Activity on Hepatic Lipid Metabolism during Weight-Loss. Andrew will also be presenting his poster entitled: The Effects of Physical Activity on Markers of Hepatic Inflammation during Weight-Loss. Congratulations again to Dr. Wooten, Kaylee, Andrew, and the entire Department of Kinesiology and Health Education! Keep up the great work! Curious about what you can do as an URCA Associate? The possibilities are endless! Check out these interviews featured on KSDK and FOX2 to hear from Dr. Bryan Smith about the work he and his URCA Associate, Kristin Dierker have been doing on fitness activity bands. Congratulations to Dr. Bryan Smith, URCA Associate Kristin Dierker, and the entire Department of Kinesiology and Health Education! Keep up the great work! CONGRATULATIONS to all of our URCA assistants and mentors for the Spring 2015 semester!! You can see a complete list of all the URCA mentors and assistants for Spring 2015 here. We wish you all the best of luck with your projects! Check out the great work that Dr. Caroline Pryor and her URCA Assistant Jessie Pavlak have been doing!! Jessie Pavlak is an SIUE senior who, as an URCA Assistant, has worked with Dr. Pryor on the project "STEM within the Social Studies (STEM-Social Studies)". The project focuses on understanding and describing the pedagogical strategies that K-12 teachers can use to integrate the content teaching standards of STEM within the broad range of the social studies. Jessie has been assisting Dr. Pryor in investigating preservice and inservice teacher beliefs about the efficacy of STEM-Social Studies at both the lesson planning level and the classroom application level. "Jessie has been invaluable to this study. She has done a wonderful job with our questionnaire date and lesson plan artifacts. She was tasked with organizing over 60 lesson plans, writing directions for the faculty who are administering the questionnaires, and organizing 3 semesters worth of questionnaire data." "Through my URCA research I have learned the importance of integration, especially into Social Studies, and that STEM integration specifically can be accomplished with correct instruction. STEM within Social Studies can help students to create authentic connections between content area knowledge that they could not have achieved if the subjects were always taught separately." The project is currently in it's mid-to-last stages, with the end of 2014 marking 2 years of data collection. Dr. Pryor reports that the initial analysis of the data will begin in the spring of 2015. Congratulations to Dr. Pryor, Jessie Pavlak, and the entire Department of Curriculum and Instruction! KEEP UP THE GREAT WORK!! The Fall 2014 URCA Newsletter is now available!! This semester URCA Associate Nasir Almasri, Dr. Carolina Rocha, URCA Assistant Brian Massie, Dr. Ken Moffett, Dr. Julie Holt, and URCA Assistants Joseph Gackstetter and Maudie Knicley were featured!! Congratulations to Dr. Song Chew, Dr. Lindsay Ross-Stewart, and URCA Assistants Joseph Gackstetter and Lynsey Gore!! They are this semesters URCA award winners! Congratulations to URCA assistant Sarah Badman who recently received a position with the Roxana school district through Americorps! Sarah is a Marketing major and Mass Communications minor who has been working through URCA with Dr. Mark Poepsel. For the Americorps position, Sarah is tutoring 5th graders in math, reading, English, and other topics discussed in class. Sarah also assists the home-room teacher with classroom activities. Sarah had this to say about being an URCA assistant: "I think that my position in URCA has really helped me achieve my goals because it has given me more confidence. I have been able to get to know more about this field, and I feel like I have made the right choice." The current study compares values of college students and their parents. To measure leadership values described by Lewin (Lewin, Lippit, &White, 1939) and Dreikurs (Dreikurs, Grunwald, & Pepper, 1999), university students described their own values (PVa, Ferguson Adult Values Inventory) and values their mother and father held when raising the student (PVi, Ferguson Parental Values inventory). Both the gender of the parent and the gender of the student had significant effects on reported values. Congratulations to URCA Mentor and Psychology Professor, Dr. Jeremy Jewell and his lab assistants, Haley Pemberton (URCA Assistant) and Madison Schoen on the development of a new stress and aggression management program which is being implemented in the Madison County Juvenile Detention Home. The new program, named Compassionate Approach to Learning Meditation (CALM) incorporates mindfulness, compassion, and meditation while teaching the juveniles skills to self-regulate their stress and internal aggression. Dr. Jewell has been a consistent and active URCA mentor since URCA’s conception. His assistants had this to say regarding his mentorship: “Having the opportunity to participate in Dr. Jewell’s research lab has been one of the biggest highlights of our undergraduate careers. Dr. Jewell is constantly finding ways to help us boost our resumes and gain new experiences!” For more information about Dr. Jewell and his research you can visit his website here. CONGRATULATIONS TO THE ENTIRE PSYCHOLOGY DEPARTMENT! KEEP UP THE GREAT WORK!! Congratulations to Dr. Ken Moffet, an Associate Professor of Political Science who, with the help of URCA Assistants, has recently had two papers accepted for publication! According to Dr. Moffet, past URCA Assistants, Daniel Mead, Eric Lupardus, and Mark Rosenkoetter were influential in the development of these projects. The contributions that Mark Rosenkoetter and Eric Lupardus made were part of a paper that was presented at the 2008 Annual Meeting of the American Political Science Association. Recently, a revised version of that paper was accepted for publication in Party Politics. In addition, the contributions that Daniel Mead made were part of a paper that was presented at the 2011 Annual Meeting of the Midwest Political Science Association. Recently, a revised version of this paper was also accepted for publication in Congress and the Presidency. Congratulations to Dr. Moffet, Daniel Mead, Eric Lupardus, Mark Rosenkoetter, and the Depatrment of Political Science in these awesome accomplishments! Congratulations to URCA Assistant Mitchel Kramer, the first author of the paper entitled "Comparative Molecular Dynamics Simulation of Hepatitis C Virus NS3/4A Protease (genotypes 1b, 3a and 4b) Predicts Conformational Instability of the Catalytic Triad in Drug Resistant Strains", which was accepted for publication and appeared in the August edition of PLOS ONE. PLOS ONE is an international, peer-revied, open-access, online publication that features reports from all disciplines within science and medicine. Congratulations to Mitchel Kramer, Dr. Mohammad Yousef, and the Department of Physics! Congratulations to URCA Assistant, Brian Massie, who's paper entitled "Ethnic Divide and Armed Conflict: Struggle and Development through the Eyes of a Child" has been accepted for publication and is scheduled to be appear in Visions & Revisions VII. According to his mentor, Dr. Carolina Rocha, associate professor in Spanish, "Brian was in a unique position to undertake the analysis of two films. His first-hand knowledge of Peruvian culture was a springboard to understand issues of ethnicity and class division that are prevalent in these films." It is also a special time for the Department of Foreign Languages and Literature, because Brian has the distinction of being the first undergraduate student in the department who's work has been accepted for publication. Congratulations to Brian Massie, Dr. Carolina Rocha, and the Department of Foreign Languages and Literature! Former URCA Associates, Brad Denby and Morgan Sturgeon, were recently featured in the Edwardsville Intellligencer for their interview with Segue conducted by Dr. Aldemaro Romero, Dean of the College of Arts and Sciences. The two recent SIUE graduates talked about how they became interested in the research process, and their individual research within the URCA Associate program. The full article can be found here. A link to the webcast will be available soon. The URCA program would like to welcome the newest Associate members! Listed below are the 2014-2015 cohort members, and their contact information. Congratulations, and happy researching! URCA Associate, Caleb Butler, recently exhibited his research about how African American men experience college life at a public, predominantly white institution . Caleb interviewed twenty-one African American male SIUE students. In the interviews he discussed several themes, including feelings of support, feelings of belonging and connectedness to peers, faculty, and staff, definitions of success, and personal understandings and definitions of the students’ identity as African American men. Check it out: URCA student, Caleb Butler, presents research in mixed media exhibit. Caleb's research has sparked additional research to be conducted into how American American females experience college life at a public, predominately white institution by Dr. Connie Frey-Spurlock's upcoming URCA assistant, Andrea Williams. See the full story here. "This project doesn't contain any laboratory research but involved going through the historic archives on campus and the Madison County Museum to uncover information about a slab of Elm which was cut down September 17,1963 and stored in the 4th floor of the old science building. The tree was acknowledged as the largest Elm tree in Illinois already in 1936; however it succumbed to Dutch Elm disease, which is a phloem necrosis caused by fungus. Using the information I found about the Elm, we are devising a method of displaying the thousand pound slab for everyone to see." The Elm Tree slab, pictured below, has a 6-7 foot diameter. Assistants Tyler Urish, Charmaine Burris, and Robert Wann spent a week and half in Palestine over winter break to research with Jerusalem Applied Research Institute. Their mentor is Dr. Denise Degarmo, chair of the Department of Political Science. Congratulations on this opportunity! For the first time every, 3 students applied to present their research at the National Conferences on Undergraduate Research (NCUR) conference -- out of 4,000+ submissions, all 3 of our students were accepted!! Caleb Butler researching how African American men experience college life at a public, predominantly white institution . Caleb interviewed twenty-one African American male SIUE students. In the interviews he discussed several themes, including feelings of support, feelings of belonging and connectedness to peers, faculty, and staff, definitions of success, and personal understandings and definitions of the students’ identity as African American men. The research project that Brandy McAdams-Hart will be presenting at NCUR is also her senior honors thesis. She investigated the relationship between sexual assault history and current substance abuse in women. She believe that sexual assault and substance abuse in women are two growing epidemics, that are deserving of more attention from clinicians, activists and researchers. mentors Dr. Howard Rambsy and Dr. Victoria Scott. The assistants’ research focuses on “grit,” which is defined as passion and perseverance to achieve long-term goals. The research is built around a once-a-week after school program where Levi and Victoria spend time with students to conduct experiments, write poetry, and learn all about what it means to be resilient, hard-working grity people academically, and in all other areas of life. This semester, with the help of the grant, Levi and Victoria, along with the students at the charter school, will explore digital story telling that will allow the students to tell their own personal grit story. Congratulations to Dr. Joshua Wooten from the Kinesiology and Health Education and his assistants, Tayler Nick, and Kelsey Stout who just returned from the regional Texas chapter meeting for the American College of Sports Medicine! 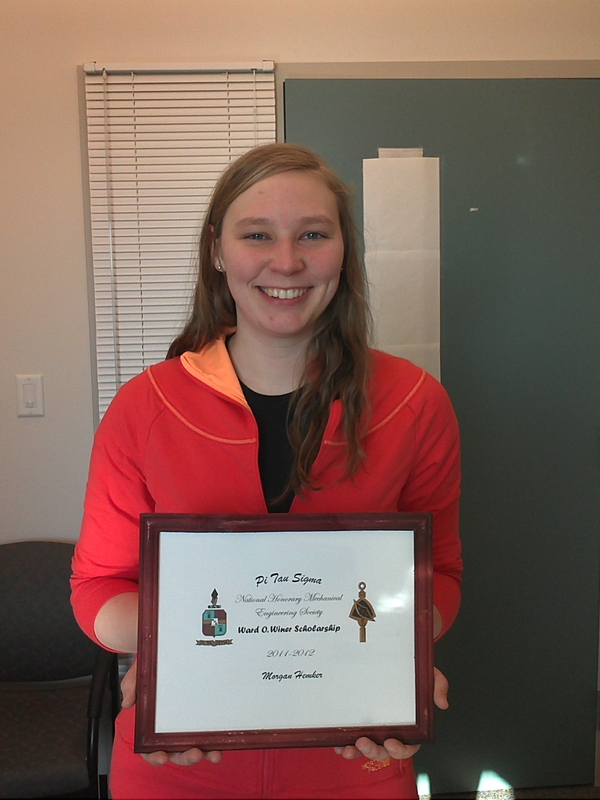 At the meeting, Tayler was awarded the Undergraduate Major of the Year Award for SIUE. These students were nominated by their faculty mentor and one award is give to each undergraduate per university in attendance. Additionally, at the meeting Tayler presented her research poster entitled Independent and combined effects of Menhaden oil and high fructose on hepatic lipid metabolism and was awarded first place in the undergraduate research poster category. Also, Kelsey presented her research poster entitled The lipogenic effect of high-fructose consumption on NAFLD during weight loss and was awarded second place in the undergraduate research poster category. There were 24 posters in this category and the top three are awarded plaques for their achievements. The plaques are currently being displayed at the entrance of the KHE offices in the Vadalabene Center. Both Tayler and Kelsey will be presenting their posters again at the national meeting for the American College of Sports Medicine in Orlando, FL in late May. Congratulations to Austin LaMay (pictured below), URCA Assistant to Dr. Paul Wanda of the SIUE School of Dental Medicine, and his team, who won 2nd place at the Illinois Louis Stokes Alliance for Minority Participation Conference-- Funded by National Science Foundation. Nine universities and 5 community colleges and 1 government lab participated. Apoptois was induced in human myeloid leukemia cells (HL60) with UVB irradiation as part of our ongoing investigation in the role played by the membrane. We previously found that phosphatidylserine (PS) translocation was reduced when temperature was increased. Analysis using a nitroxide spin label conferred that there was a corresponding increase in membrane fluidity during apoptosis. In addition, new data has indicated that a decrease in membrane fluidity reduced apoptosis perhaps by impeding death-receptor formation required for the extrinsic apoptotic pathway. Preliminary results using BHT (butylated hydroxytoluene), a known membrane perturber, also increased membrane fluidity." Congratulations to URCA Assistant Ryan Wiechmann, and his faculty mentor, Dr. Marc Schapman. The team was recently featured in the Alestle. A full link to the article can be found here. Congratulations to Dr. Nadler, and his URCA Assistant, Tiffany Maglasang! Papers co-authored by the team have been submitted for presentation at the Midwestern Psychological Association in Chicago later next semester. Maglasang, T., Wetherall, R., Johnson, J., & Nadler, J. T. (2014, May). Gender and Agency in Employee Performance Appraisals: Memory bias. Paper submitted for presented at the Midwestern Psychology Association (MPA) annual conference. Chicago, IL. Meyer, C., Johnson, J., Maglasang, T., & Nadler, J. T. (2014, May). Think, Think Male: Implicit Gender Associations with Career Prestige. Paper submitted for presented at the Midwestern Psychology Association (MPA) annual conference. Chicago, IL. Congratulations to Dr. Leah O'Brien, and her URCA Assistant, Taylor Dahms! Their research was recently published in the Journal of Molecular Spectroscopy. Taylor will also be presenting this research at the Undergraduate Research Symposium at the American Chemical Society National meeting in Dallas, Texas later next semester. Here is the full article. EVER WONDERED HOW GREAT THE FACULTY MENTORS ARE AT SIUE? of her student, Jaime Henderson. Teryl Thurman, an URCA Assistant in 2013, is still making connections with the work she did with Dr. Elizabeth Lyman (Theater & Dance). While an URCA Assistant, Thurman read many plays by Terence Rattigan. In this photo, she is in the Actor's Church in Convent Garden, London, England. Congratulations, Teryl Thurman! 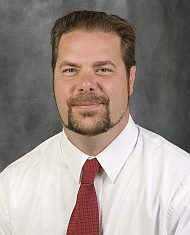 Congratulations to Brad Rimmert, URCA Assistant to Dr. Mohammad Yousef. 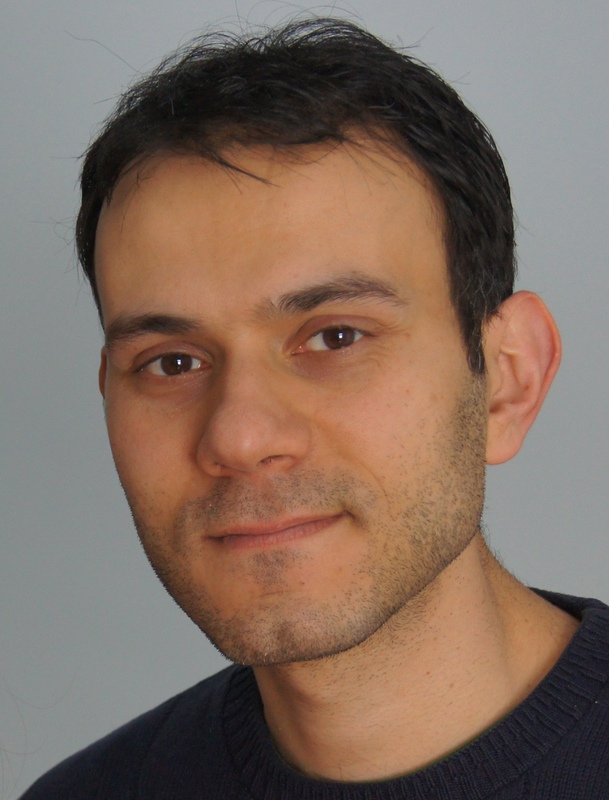 Brad (listed as first author) and Dr. Yousef (along with their colleagues) recently published an article in the Journal of Bimolecular Structure and Dynamics! 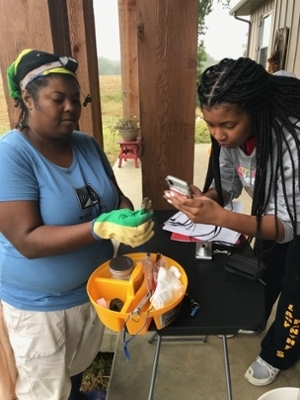 Brittany Buckles, an URCA Associate from the 2012-2013 cohort, who researched bee ecosystems was recently interviewed by the St. Louis Post Dispatch (see the full article here). She, along with several other students, are planning a trip Nairobi, Kenya in hopes to "increase public awareness about the importance of hazards facing bees and the need for human intervention to help" (Gillerman, 2013). Congratulations, Brittany (pictured below)! "Green roofs can contribute to healthy ecosystems by providing essential ecosystem services like stormwater retention, thermal benefits, and biodiversity. Green roofs may be especially suited for highly mobile species, such as birds, bees, and wasps. Without bees, humans could not enjoy fruits, vegetables, oilseeds, or other foods dependent upon bees for pollination. Most research on bees has been done specifically on honeybees (Apis mellifera); however the wild bees are extremely important as well. Cavity nesting bees and wasps will house their larva in small cavities and may be especially suited for green roof locations. Green roofs can increase foraging and nesting habitats for pollinating insects, such as bees and wasps. Colonization and abandonment rates are more greatly affected by roof height than roof area. Green roofs that are shorter than 6 stories tall are better suited for cavity nesters compared to taller green infrastructure based off the statistical analysis of nest tube colonization and abandonment rates in North America." URCA is pleased to welcome the new 2013-2014 Associate Cohort! Josh Prince, URCA Assistant to Dr. Ferguson, along with Taylor Smith, and Courtney Miller presented "The Relationship between Autocratic, Democratic and Laissez-Faire Leadership Style Values and Cultural Values" at the Graduate Research Symposium April 2nd at MUC. From Dr. Ferguson: "The research is part of an ongoing set of projects that began in the year 2000 when I was a Visiting Scholar at the University of California at Berkeley. I have been Visiting Scholar there for a number of years since then, including when [she] was on sabbatical leave in 2007 and [she is] still a Visiting Scholar at UC Berkeley. My colleague there is Kaiping Peng, a cultural social psychologist. We published some of our research together in 2006 in the journal GROUP DYNAMICS and another article is coming out this month in the journal JOURNAL OF APPLIED SOCIAL PSYCHOLOGY. We are showing that leadership styles, as developed by Kurt Lewin and as applied by Rudolf Dreikurs and contemporary Adlerian Psychology, work in the family the same way as they do in any other group (school, work, nations). We are showing that these leadership styles in the family of origin (in which you were raised) have profound influences on young adults (college students). These leadership styles teach children (and later the young adults into which the children develop) a set of values that have wide ramifications. My lab has found that national differences exist in parental leadership styles. Moreover, in modern Asian countries the style is moving toward a Laissez Faire style that is accompanied by increased individualism and competitiveness. Within the United States, regional differences exist in parental leadership styles. This "group dynamic" approach towards parenting differs sharply from the Freudian-based model of Baumrind, whose work does not address the kind of social issues that Lewin and Dreikurs addressed and that work in my lab addresses." Dr. Denise DeGarmo's URCA Assistants recently facilitated a panel and presented their own work this past weekend at the Indiana Political Science Association Conference at the University of Southern Indiana. In addition to facilitating the panel entitled, "Human Security in the Occupied Palestinian State: Israeli Military Orders and Their Impact on the Needs of the People of Palestine," each student presented his or her own original research. Matthew Boyer, presented his research entitled, "The Link Between Post Traumatic Stress and Human Security in Palestine," Erin Gross', research was entitled, "Tertiary Education in the Occupied Palestinian State," and Bryan Skorczewski's research was entitled, "How Differing Accounts of Economic Activity Damage the Ability of Occupied States to Liberate Themselves." 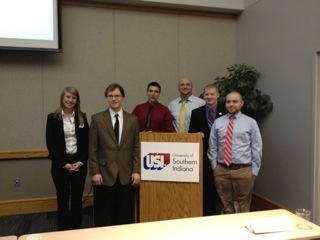 Rob Wann, Samuel Border, and T.J. Pearson, all URCA Assistants to Dr. Laurie Rice, presented at the Indiana Political Science Association Conference which was held on March 22, 2013 at the University of Southern Indiana. The presentation was entitled, "The Effects of Campaign Visits During the Presidential Primaries." Congratulations! URCA Mentor, Dr. Majid Molki, is proud to announce that his URCA Assistants, Michael Largent (URCA Assistant in Spring 2012), and Morgan Hemker (current URCA Assistant), received the Ward O. Winer Scholarship from Pi Tau Sigma National Honorary Mechanical Engineering Society. Both Assistants received $250! Congratulations! URCA Assistant, Alissa Yoder, was awarded 2nd place in the undergraduate research poster category at the annual Texas chapter meeting of the American College of Sports Medicine in Austin, TX (February 28-March 1). He presentation was entitled, "Effects of Human apolipoprotein E3 and E4 genotypes on cardiometabolic disease risk." There were 31 posters in the undergraduate research category. The award is presently being displayed in the Department of Kinesiology and Health Education. In addition, Alissa will be presenting her work at the SIUE's 2013 Graduate Student Research Symposium in April. Congratulations, Alissa! "I had two URCA assistants work with me in Fall 2012 when I was designing experimental stimuli for a pilot project titled The L2 Acquisition of Wh- Dependencies: Linguistic and Psycholinguistic Perspectives which has won STEP funding for fiscal year 2014. The students' contribution was greatly appreciated, and I'm currently still working with one of them preparing to implement that project." Thank you to URCA Assistants, Samantha Seale and Jessica Fritsch , for their dedication and help on Dr. Slavkov's research project! URCA would like to welcome 157 new URCA Assistants to the program. Good luck on your projects this semester! Click here for a full list of URCA Assistants for the Spring 2013 semester. A big Thank You goes to Samantha Winkler, an URCA Assistant, who helped in the design and launch of Dr. Kristine Hildebrandt's website: www.mananglanguages.org. Dr. Hildebrandt studies tribal languages in the Manang District of Nepal. The URCA Fall Newsletter is now available! This semester, Dr. Brady's lab team -- Jaime Henderson, Mollee Pezold and Megan Smith-- and URCA Associate, Erik Zimmerman, were featured! Congratulations to Dr. Jeremy Jewell, Yonatan Gebre and Matthew Vallejo! They are this semester's URCA Award Winners! Be sure to check out the full story here. Congratulations to Morgan Hemker who presented her research this weekend at the Conference for Undergraduate Women in Physical Sciences(WoPhyS) at the University of Nebraska- Lincoln! Morgan had this to say about URCA and her mentor, Dr. Majid Molki:"I am very grateful that the URCA program enables me to participate in these research opportunities. I also owe many thanks to Dr. Molki, who has mentored me throughout my research project." View Morgan's full poster here. Katie Mosby and Brittany Buckles presenting their research posters at the Green Roof for Healthy Cities Conference today in Chicago! Congratulations ladies! Congratulations to the URCA Assistants of Dr. Yun Lu -- Scott Alvarado, Blake Ferando, Christopher Hall, and Jared Swanberg! Their research assistance was recently acknowledged on Dr. Lu's new journal articles, Imbalanced tunneling ready states in alcohol dehydrogenase model reactions: rehybridization lags behind H-tunneling , and A Model Reaction Assesses Contribution of H-Tunneling and Coupled Motions to Enzyme Catalysis. URCA Associate, Brittany Buckles (green t-shirt), and URCA Assistant, Chico Weber (beige button-up), were featured on FOX2 News this past week for their work at the SIUE Eco House! Congratulations! To view the full story on the FOX2 News webpage, please click here. The URCA Program is happy to welcome 91 faculty mentors and 156 students to the URCA Assistant program for the Fall 2012 semester! We wish you luck on your research this semester! For a complete list of the Fall semester's Faculty mentor and Assistants, click here. Daniel Carroll, an URCA Associate from the 2010-2011 cohort, joined Boston Metro Opera's 2012-2013 Artist Roster as Lecturer-in-Residence. Daniel mentioned the URCA program in this article. Check out his profile! URCA Announces the 2012-2013 Associates! 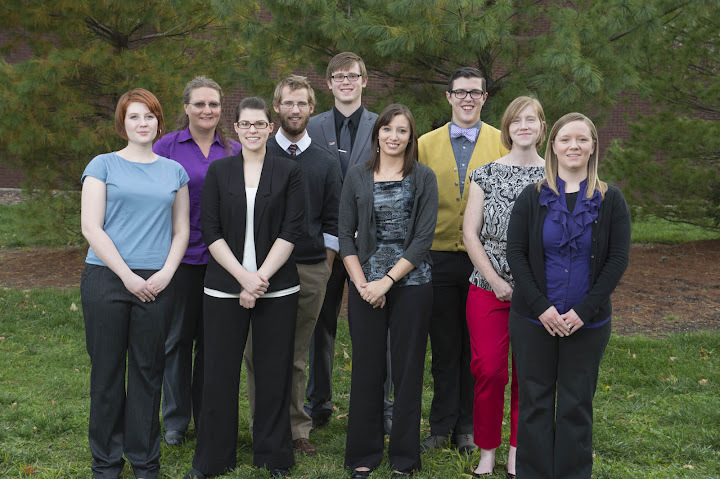 Click here for further information about this year's Associates.